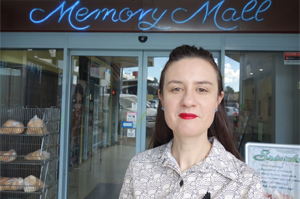 Vanessa Berry is a Sydney writer and artist who works with history, memory and archives. She is the author of the memoir Ninety 9, the essay collection Strawberry Hills Forever, and the zine I Am a Camera. Since 2012 she has been writing the blog Mirror Sydney, on which her new book is based, exploring the city’s marginal places and undercurrents. Her zines and hand-drawn maps have been exhibited in the Museum of Contemporary Art, the National Gallery of Australia and the Museum of Sydney. Every summer I choose a difficult book to read, and this year it was Petersburg by Andrei Bely. I finished it just as summer ended, and felt a great sense of satisfaction in doing so. Next up I'm going to read Dyschronia by Jennifer Mills, and Apple and Knife by Intan Paramaditha. I love all libraries, big and small, new and old. Recently I've been working at the State Library: I have a particular spot I like in the Marie Bashir Reading Room, it's next to the window that looks out over the sunken garden, and a time capsule that has been there since this wing of the library opened in 1988. In the original version of the Dictionary of Australian Artists, there was an entry under my name which described it as a pseudonym, chosen in commemoration of a 1960s comic and illustration artist. This was interesting to read but not true! The artist Raquel Ormella made an artwork based on this story, called "The Mysterious Vanessa". Since Mirror Sydney came out I have been asked quite a few times how to be more observant to the details of places and environments. I usually say to slow down, look up, and be open to the potential of the things that surround us, no matter how mundane. Mirror Sydney came out of my desire to investigate a different side of Sydney to that which is often presented. I wanted to show a quieter, more introverted city, and its many different atmospheres. I was also motivated by the rapid changes occurring in the city and suburbs, and wanted to record the city of the present day, as well as its connections to the past, and potential futures. Want to read more about Mirror Sydney? 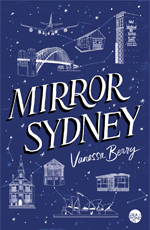 Mirror Sydney is available now from Giramondo Publishing.